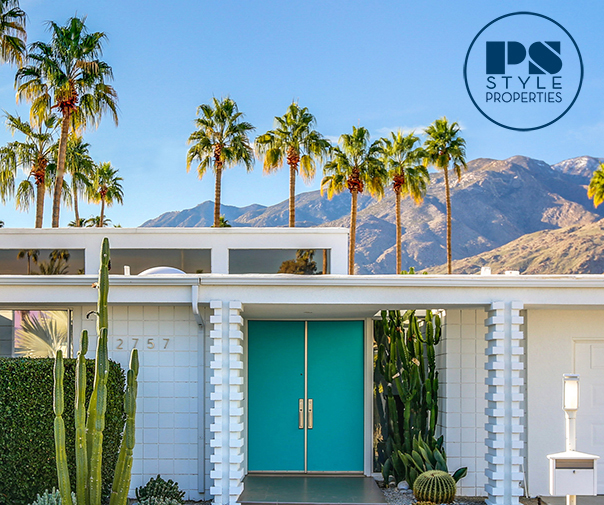 We are very excited our third annual Palm Springs Door Tour during Modernism Week 2019, presented by Dunn-Edwards Paints and curated by Palm Springs Style! 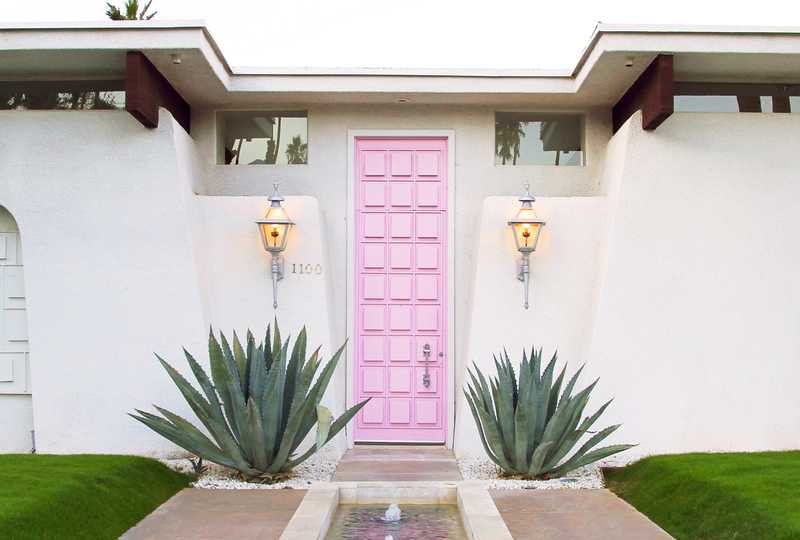 This self-guided bike tour takes you through the colorful and historic doors of the Indian Canyons neighborhood of Palm Springs. 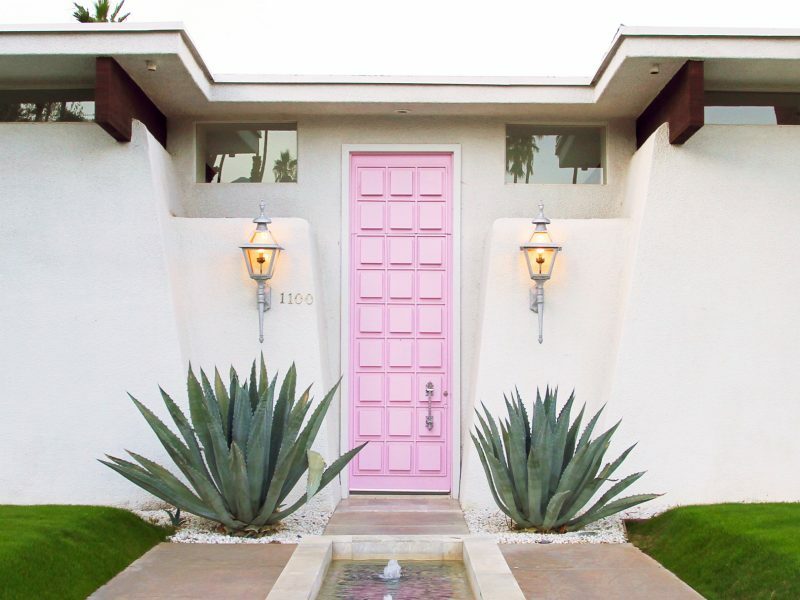 The Palm Springs Door Tour is taking place on two dates: Sunday, February 17 and Sunday, February 24, with the tour departing from the colorful Saguaro Palm Springs. Bring your own bike, or rental bikes from Bike Palm Springs will be available for pickup at the tour starting point at the Saguaro. Bike rentals must be reserved in advance by contacting Bike Palm Springs directly (bikepsrentals.com or 760.832.8912). You may also participate in the tour by car or golf cart. Docents at each stop will share information about the homes’ architecture and history, and instructions will be given for snapping door photos along the way and posting to Instagram in order to win some great prizes. Tickets for the Palm Springs Door Tour are available here! Visit modernismweek.com for more great events in Palm Springs from Feb. 14 – 24, 2019! Photography by Bethany Nauert, Nichole Gawalis and Palm Springs Style.